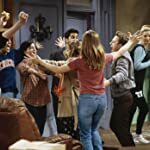 Friends (1994) is one of the most celebrated sitcoms in television history.Even after 12 years since its last episode aired,it continues to air in several countries around and is still beloved by audiences worldwide. 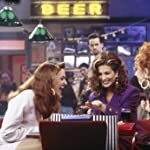 Which is your favorite Friends (1994) Episode? Rachel is leaving for her job in Paris. Monica and Chandler are packing up the apartment. 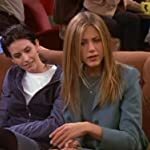 When Phoebe finds out about Monica and Chandler, she and Rachel start messing with them and attempt to get them to confess their relationship. Erica has gone into labor three weeks early. Ross and Rachel sleep together and Ross realizes that he still loves Rachel and wants to be with her. Erica delivers twin babies. Ross chases Rachel to the airport with the help of Phoebe but they end up going to the wrong airport. Joey buys Monica and Chandler a duck Jr. and chick Jr. as a going away gift. Monica finishes the packing. Phoebe's uterus is examined for implantation of the embryos. 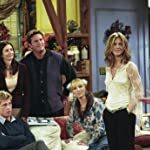 Meanwhile, a seemingly harmless game between Chandler and Joey and Monica and Rachel escalates into a full-blown contest. The gang watch a home video from the night of Monica and Rachel's prom. Joey gives Chandler a hideous bracelet. Will old friend of Ross used to be really fat in high school and he really hates Rachel because she was horrible to him. Will shows his hatred and tells Rachel they had the "I-hate-Rachel-Greene-Club" in high school. which spread a rumor that Rachel had both male and female reproductive parts. Monica tells them they're being childish and they should focus on the important things going on in their lives like having a baby together. Ross and Rachel tell everyone about the night they were together. They have two different stories of how it happened until Ross accidentally reveals that he videotaped it. Not surprisingly, everyone wants to see it. Chandler continues to pretend to hate the idea of marriage, unaware Richard wants Monica back. Meanwhile, Rachel and Phoebe discuss their 'back-up' plans. Phoebe tries to warn the gang that Rachel is coming to London to tell Ross she still loves him. Ross and Emily's parents get into an argument over the bill for the wedding. Ross is forced to reveal the reason why Jack and Judy don't like Chandler. Rachel tries to make dessert for the gang. 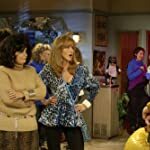 Joey and Ross try to get out of Thanksgiving when they are invited to hang out with Janine and her dancer friends. The gang remember their worst Thanksgivings. Chandler desperately tries to earn Joey's forgiveness. Monica accidentally gets ice in her eye and her doctor turns out to be Richard's son. Rachel and Phoebe take self-defense classes. Chandler and Monica agree to give each other homemade presents for Valentine's Day. Joey tries to get money through medical research. Ross tries to find Chandler with Phoebe's help. Meanwhile Rachel tries to hinder Monica. Chandler and Monica reconcile and hastily decide to get married. Ross and Rachel get drunk and roam the casino. Phoebe deals with a 'lurker' on the slot machines. Joey finds himself constantly covering for Monica and Chandler. Ross becomes angry when someone at work eats his sandwich. Phoebe and Rachel attend a literature class. Ross and Rachel get back together after Ross unknowingly takes full responsibility for their breakup. 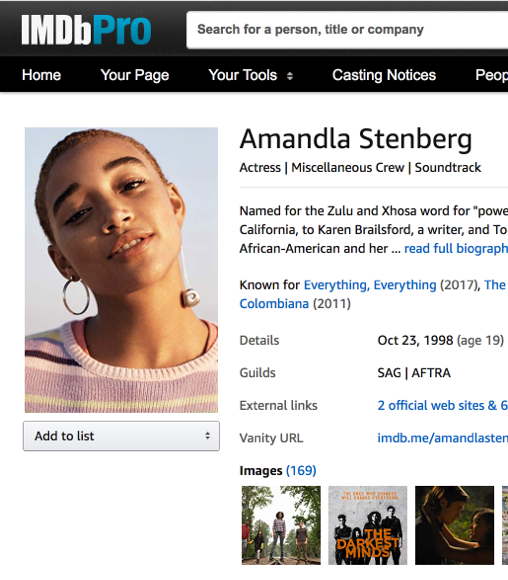 Phoebe becomes angry after learning the truth about her birth mother. Monica is stung by a jellyfish. The gang make their New Years resolutions. Chandler struggles to not make jokes about everyone. Rachel uncovers a secret. 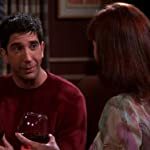 Ross runs into trouble when he wears leather pants on a date. The gang remember the events three years ago, when several of them almost slept together. 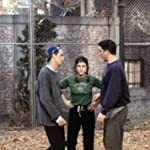 Sibling rivalry between Monica and Ross dominates Thanksgiving proceedings when the gang decide to play a game of football. Monica, Phoebe and Joey advise Rachel to tell the father about the pregnancy. 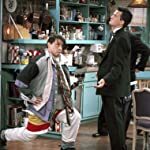 Chandler and Ross lose the wedding photos. Ross is guilt-ridden after sleeping with Chloe and desperately tries to stop Rachel from finding out. When New York suffers from a blackout, Ross tries to tell Rachel that he likes her, and Chandler gets stuck in an ATM vestibule with a model. A stressed Ross desperately tries to get the rest of the gang ready for a black tie event at the museum. Paul threatens to have Ross fired from the university if he continues to date Elizabeth. The girls put their names down on a waiting list for a wedding venue. Chandler kisses Rachel and Phoebe to cover up a kiss he gave to Monica. Phoebe becomes irritated when the gang constantly talk about London. 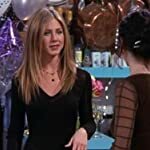 Rachel puts Monica in charge of her love life. 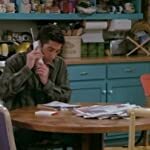 A drunken Rachel calls Ross and reveals her feelings for him on his answering machine. Meanwhile, Monica finds work as Chandler's personal trainer. Chaos ensues when Rachel's recently divorced parents show up at her surprise birthday party. After 21 hours Rachel gives birth to Emma! 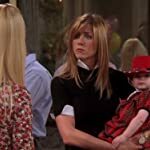 Janice comes to see Rachel and Janice says she admires Rachel for her strength to raise the child on her own. Ross doesn't want to have a relationship with Rachel anymore because if it doesn't work out it would really hurt Emma and he and Rachel are doing fine as things are now. Joey comes to comfort Rachel and she accidentally thinks Joey is proposing to her! A humiliated Emily runs away after Ross says Rachel's name at the altar. Meanwhile, Chandler and Monica struggle to get time alone together. Phoebe's bachelorette party has no strippers, and Phoebe wanted one. So Rachel and Monica find a stripper, but he has to be at least 50 years old. 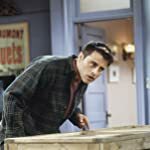 Joey appears on "Pyramid." Chandler and Ross go to a college reunion, and they recall what they did in 1987. 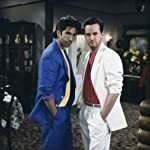 Chandler tells Ross that he kissed Rachel at a party and Ross gets upset with Chandler because that was the night he kissed Rachel for the first time. 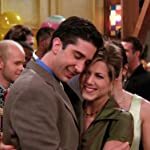 It turns out that Ross didn't kiss Rachel that night, that he really kissed Monica. Joey and Ross accidentally take a nap together and much to their dismay, find that they like it. Phoebe and Rachel compete to become Monica's maid of honor. Monica becomes infatuated with a friend of her parents when she caters a party for him. Ross and Rachel go on their first date. Joey and Chandler refuse to move when they get a new TV and two armchairs. 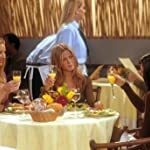 Joey, Ross, Rachel and Phoebe convince Monica and Chandler to host Thanksgiving, however the four of them end up arriving to dinner an hour late. The gang go to the beach to learn more about Phoebe's family, where a jealous Rachel sabotages Ross and Bonnie's relationship.